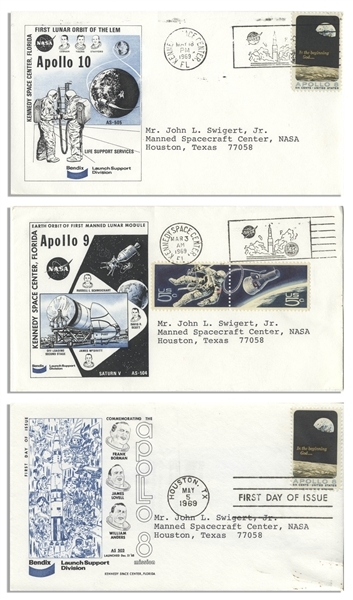 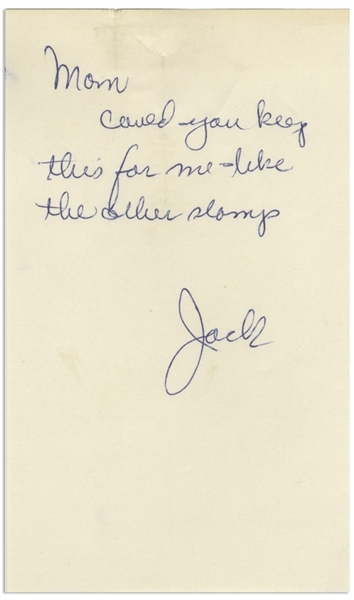 Jack Swigert owned sheet of Apollo 8 commemorative stamps, issued to Swigert in a custom folder by the U.S. Post Office. 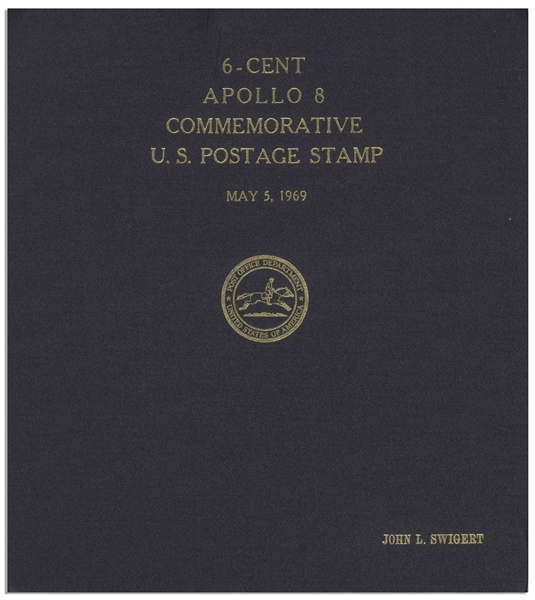 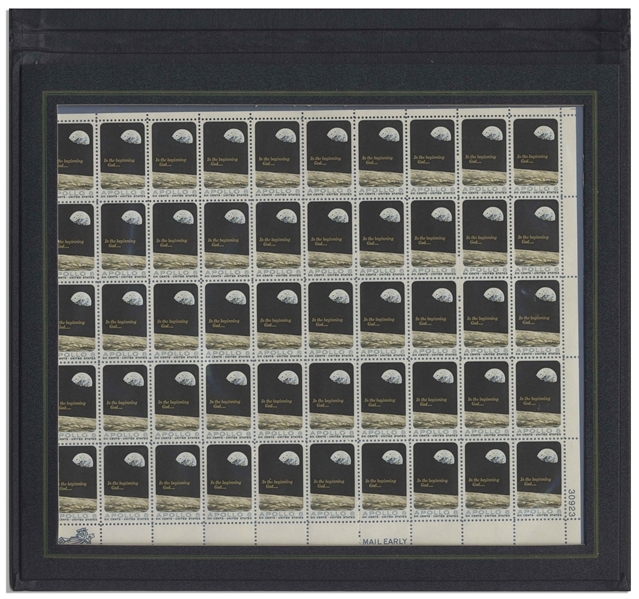 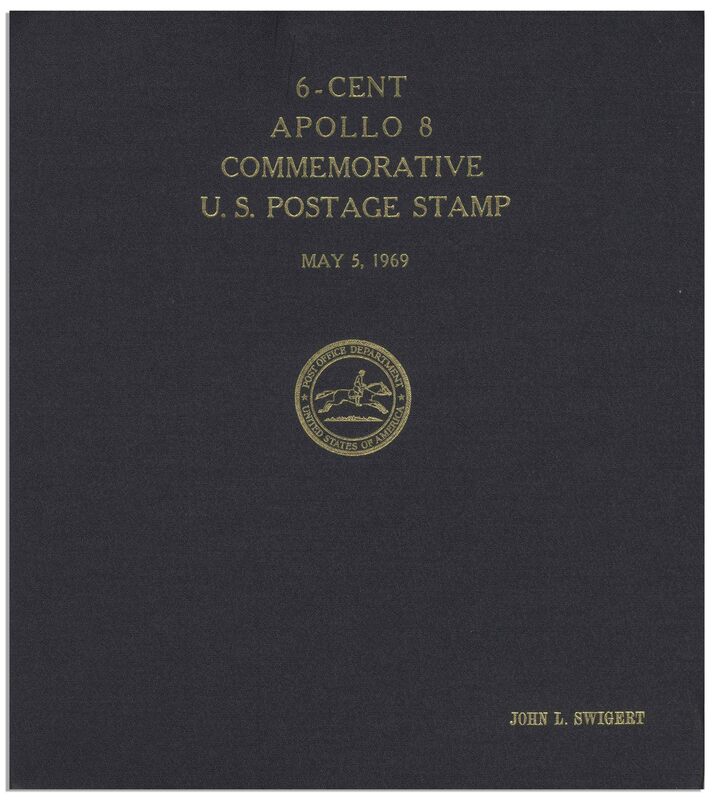 Sheet comprises 50 stamps, contained in a handsome navy blue folder measuring 10.5'' x 11.75'' with Swigert's name in gilt at lower right and the date of 5 May 1969. 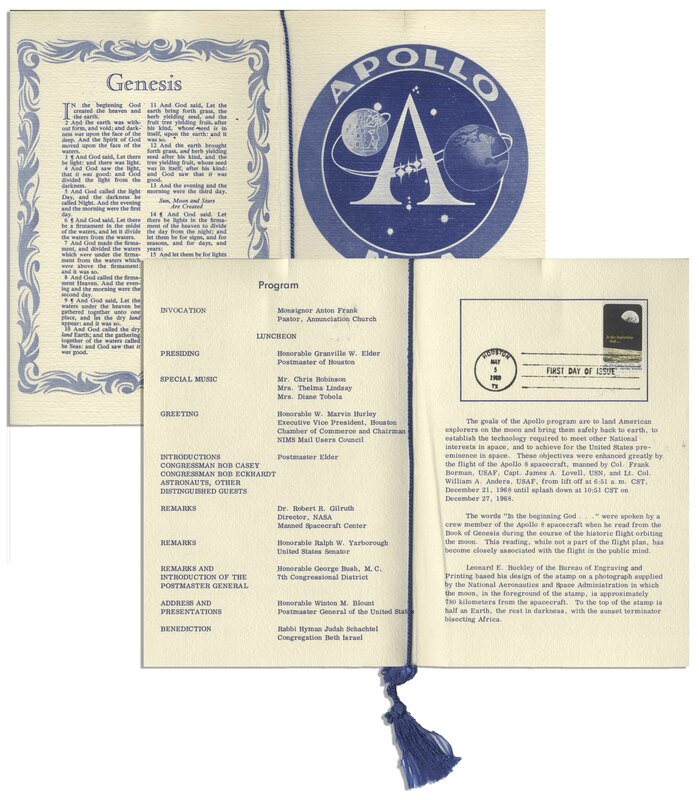 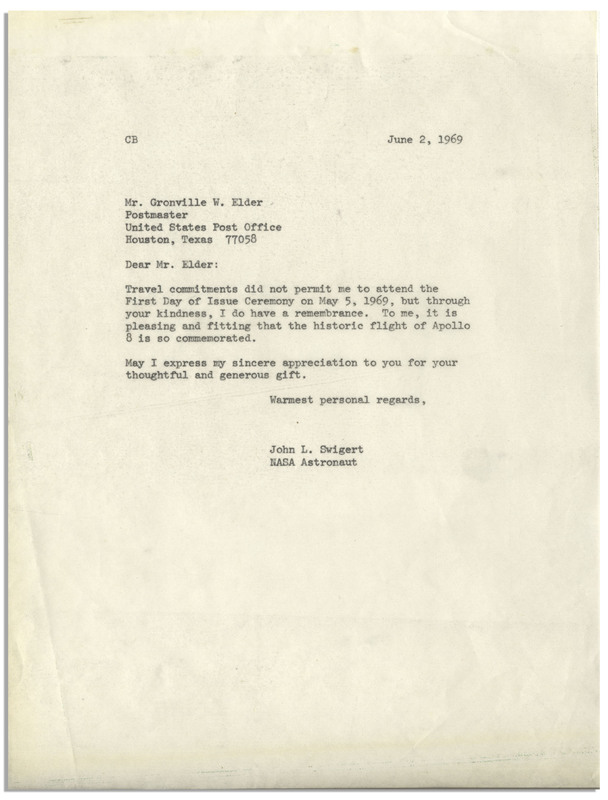 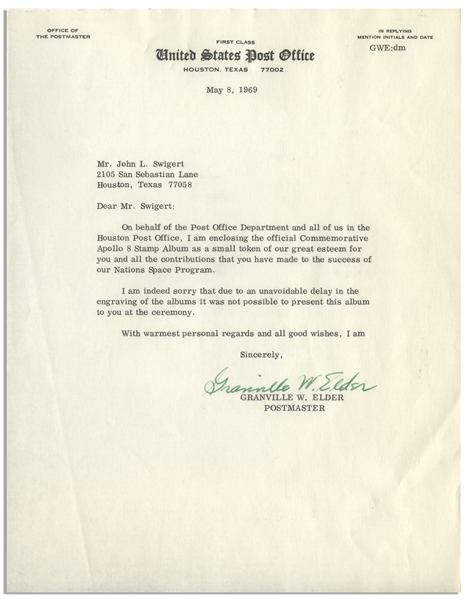 Lot also comes with the following items owned by Swigert: Swigert's autograph note signed to his Mom, asking her to keep the stamps for him; program for the Apollo 8 Commemorative Stamp First Day of Issue Ceremony on 5 May 1969; four First Day of Issue covers, all canceled 1969 for various Apollo missions and with three addressed to Swigert; original mailing envelope addressed to Swigert; letter from the USPS accompanying the stamps; copy of letter from Swigert to the USPS giving thanks for the stamps. 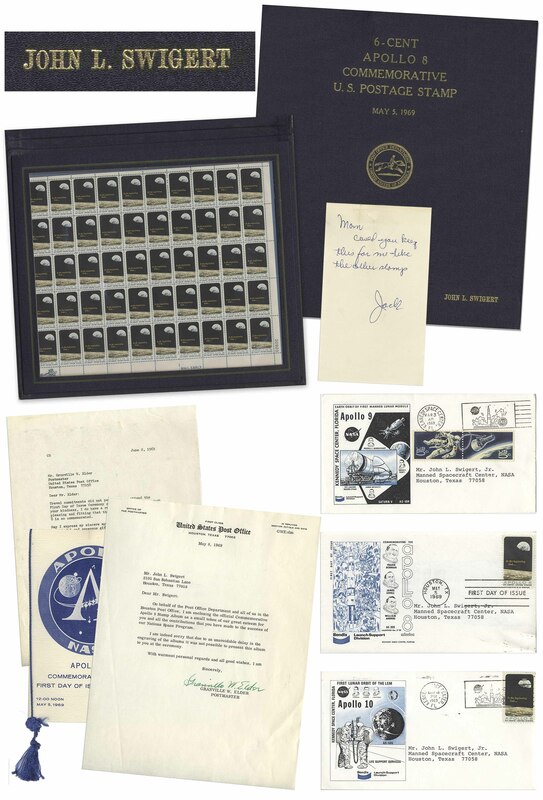 All items are in very good to near fine condition.